Several years ago, I was invited by the editors of the Dictionary of Hong Kong Biography (HKU Press, 2011) to write biographical entries for the book. In total I wrote 37 entries which covered many of the important figures in HK business history. However, there are a number of lesser known figures who were not covered in the book but nevertheless made significant contributions to the development of industries in Hong Kong and I would like to share their stories in this Group in a series I would like to call “Unsung Pioneers of HK Industries”. The first in this series is Peter Hsiao-Tsing Woo (胡孝清, 1924-2011), the founder of Atlas Electronics/Champagne Engineering whom many recognized as the father of the electronics industry in Hong Kong. According to TDC, the electronics industry is currently HK’s number 1 merchandise export earner accounting for 59% of HK exports in 2013 and it all started with Peter Woo’s small radio assembly operations in 1958. The story of Peter H.T. Woo is lesser known today partly because he was a very low key individual who rarely gave interviews or spoke in public and also because Atlas is no longer an ongoing business concern. A devout Christian since the age of 15, he published his Chinese autobiography in 2005 through the Church. Although the book was written from an evangelical angle, it gave us a rare glimpse into the life and career of this electronics pioneer. Born in 1924, Woo grew up in Shanghai and attended the prestigious Chiao Tung University where he pursued management studies. In 1948, he came to Hong Kong with 500 US dollars in his pockets, and started a small shop selling electronic parts on Nathan Road. In his book, Woo himself acknowledged that although he had no formal training in electrical engineering, he had always been fascinated with electronics. Business was tough in the beginning with only 100 HK dollars of revenue per day and he relied heavily on borrowing to stay afloat. The invention of transistors in 1947 in the United States enabled the proliferation of low cost electronics products such as transistor radios. In Hong Kong, radio became a popular form of entertainment for the mass in the 1950s with 2 private radio stations (Rediffusion Radio in 1949 and Commercial Radio in 1959) entering the market which was previously dominated by the government controlled Radio Hong Kong (now RTHK). Woo was quick to capitalize on this trend and secured distributorship of the German Blaupunkt radios in Hong Kong in 1954, backed by a generous line of credit from HSBC of several hundred thousand dollars which he could repay in 180 days. Champagne was soon assembling 4000 radios for Sony per month but the partnership was not to last. In October 1959, Sony notified Woo that they were setting up a plant in Ireland, another member of the British Commonwealth and would stop ordering from Champagne by March 1960, at which point Champagne also needed to return all Sony equipments and the Bank of Tokyo loan guarantee would also expired. Fortunately Woo had other clients who came to his rescue, including one client who issued him a US$100,000 letter of credit, which enabled him to borrow from Citibank to repay the Bank of Tokyo debt and in fact expanded his production from several thousand radios per month to tens of thousands of radios per month. Most of the new demand was from America and HK radio exports to the US increased fiveteen fold between 1960-61. 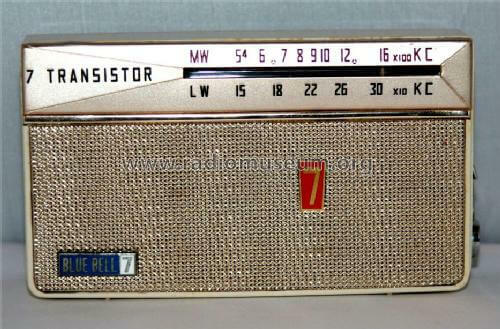 By 1961 there were 12 firms in HK assembling radios with Atlas remained the biggest of the pack and because of low labor and overhead costs, HK radio manufacturers like Woo were able to undercut the Japanese. By 1962, Hong Kong’s total radio production exceeded 1 million units, more than half of which were shipped to the US. The same year the Japanese government decided to impose ban on exports of transistors to HK, which manufacturers like Woo were quick to substitute with transistors from the UK and the US. The early success of the HK radio assembly business in the early 1960s paved the path for the suppliers of transistors – US semiconductor firms to enter the HK market. Woo also began making radios under his own “Blue Bell” brand. 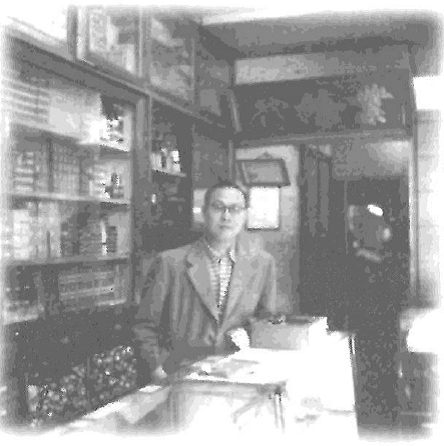 In May 1962, Woo incorporated Atlas Electronics Corporation (環球電子) and consolidated his operations under the Atlas name. Atlas’ Chinese name means global and Woo was certainly a businessman with global perspectives – he traveled extensively for business, from 1961 onwards until his retirement he had visited the US and Europe over 50 times and Japan over 200 times. Although Woo was the majority owner, according to a 1963 article in International Management about Atlas, he delegated the management of the firm to three managers of different nationalities – an Israeli by the name of A.M. Cappon handled sales, an Englishman who handled money and a Chinese engineer who handled operations. By then Atlas had 400 workers and was churning out 80000 six transistor radios per month with average 90 day delivery to New York. By 1967, Atlas was producing 250,000 radios a month according to the Trade Bulletin published by the HK Department of Industry and Commerce. The firm was so successful that it went public in 1969 on the newly formed Far East Stock Exchange with Woo as its chairman, becoming the first electronics company listed in the Hong Kong stock market. 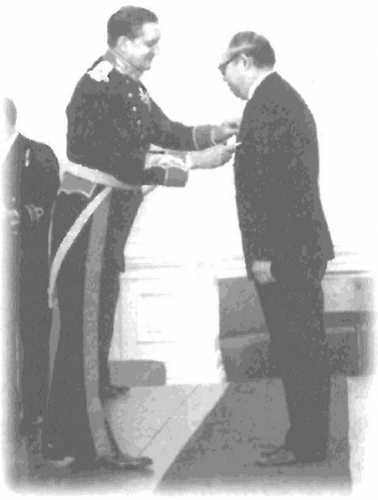 In recognition of his contributions to the electronics industry in Hong Kong and his charitable work, Woo was awarded the Order of the British Empire in 1975. By the late 1970s Atlas faced intense competition in the low end electronics segment and business was floundering. On December 31, 1979, Woo sold his 49% stake in Atlas to an American businessman Albert J. Miller for US$1 million and retired from the firm he founded. Under AJ Miller, the firm was renamed Atlas Industries and enjoyed a brief turnaround as a large supplier of computer heads and floppy disk drives to IBM, with its stock valuation soared 36 times to HK$2 billion between 1980 and1984, only to collapse in 1985 when IBM cancelled its orders and went into receivership. After his retirement from Atlas in 1979, Woo dedicated most of his time and money in Christian causes building churches and schools (e.g. the Carmel Secondary School in Homantin) in Hong Kong and China and passed away on April 4th, 2011 at the age of 87. “The Market for Electronics Industry Production and Test Equipment in Hong Kong,” DIB 74-01-511, June 1973. This article was first posted on 1st December 2014. 1973, Peter visited Atlas Electronics Factory Penang. I met Peter and had dinner with himat Tai Tung Restaurant, George Town. my late uncle was Albert J miller, I would love to find some old photos of him in hong kong.